1 of 2 Place wraps on work surface; spread each with 2 tablespoons cream cheese, leaving a 1-inch border around edges. 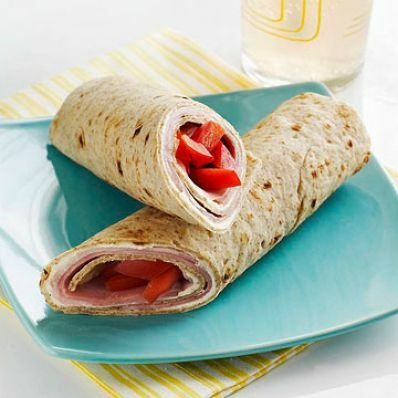 2 of 2 Place 2 slices ham on each wrap, then add red pepper strips horizontally, in lower third of wrap. Roll up, cut in half on the diagonal and serve.